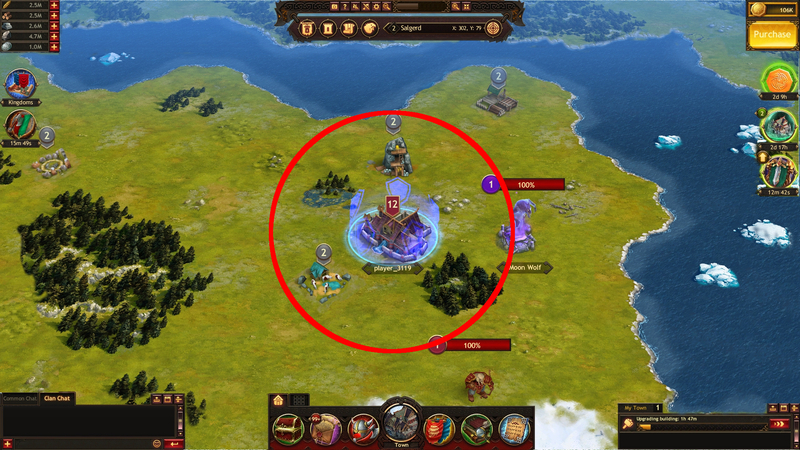 Peace Treaty is the item you can use to protect your Town from enemy invasions. 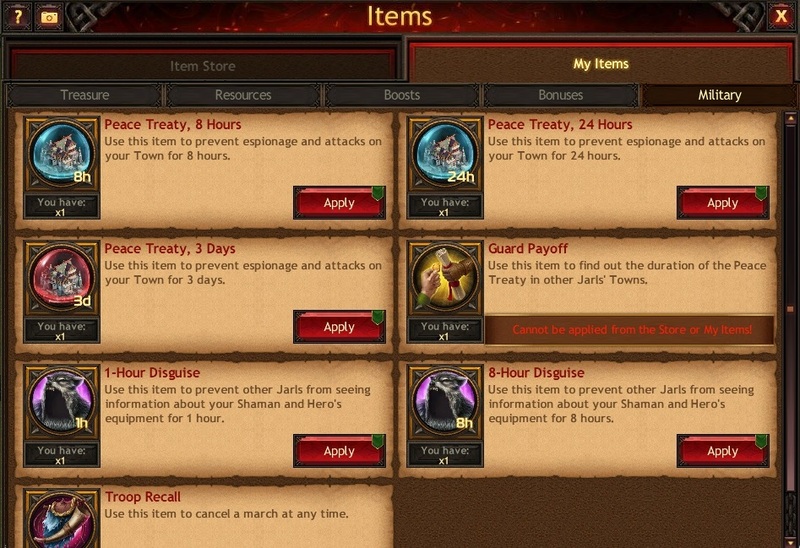 Peace Treaty items vary by their duration: 8 hours, 24 hours, 3 days, and 7 days. You can purchase them in the Item Store for Gold, in the Clan Store for Loyalty Points, and also as part of Bank offers. 1. By opening the Items window, going to the My Items tab, and then to the Military section. 2. 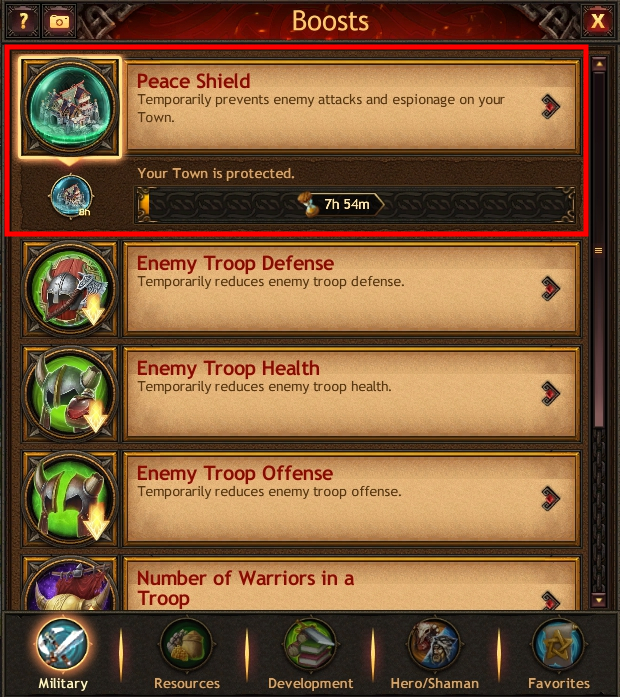 By activating the boost in the Boosts window, Military tab, Peace Shield category. Please note that if you apply items with different durations, their durations will be added together. 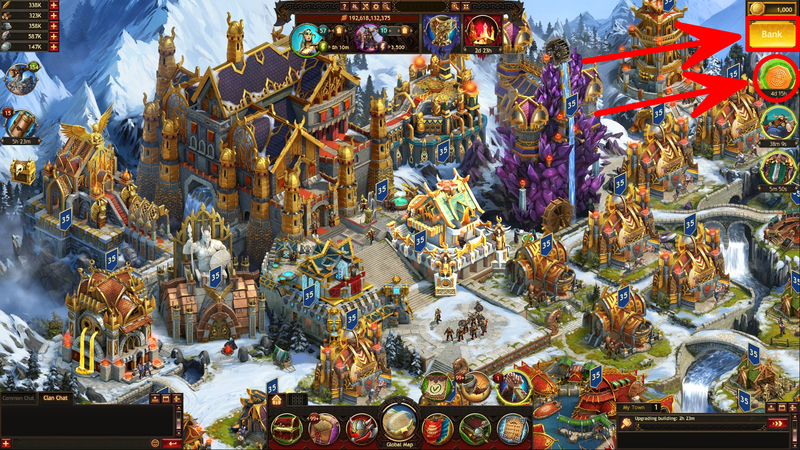 For example, if you apply the Peace Treaty, 8 Hours item and then the Peace Treaty, 24 Hours, your Town will be protected for 32 hours.